I haven't had a haircut in a over a year. Now, I'm not intentionally growing my hair, it grows, but I'm not on a quest for Rapunzel like locks or anything like that. I just am really really lazy about going to the hairdressers! Every time I go it takes about 4 hours because I have highlights, and they always straighten it afterwards, which I don't really like, and they never know how to deal with curly hair and it's just a waste of time and money in my opinion. Every time I do go, I get it cut quite short, and that means it'll be a very long time before people (my Mum) start nagging me to get a haircut again. It does mean that I have to trim my own fringe in between, which has lead to some very funny results when I've cut it far too short and had to put up with it until it grows again! 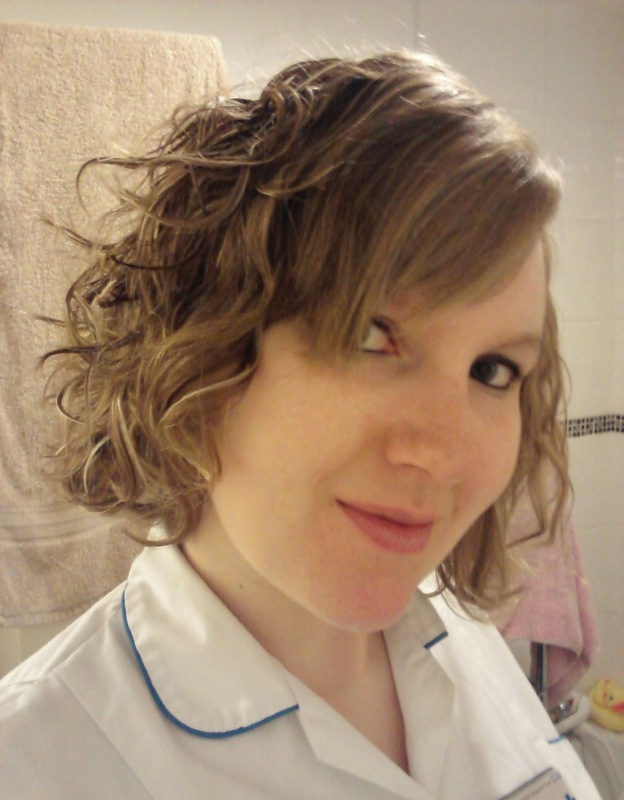 This picture was taken a couple of days after the last time I got it cut and highlighted, way back in October 2012, I'm wearing my old work uniform, and it was taken to show my Mum what it looked like curly, because of course, the hairdresser had straightened my hair after she'd cut it, so this was a couple of days later when I managed to style it like I usually do. 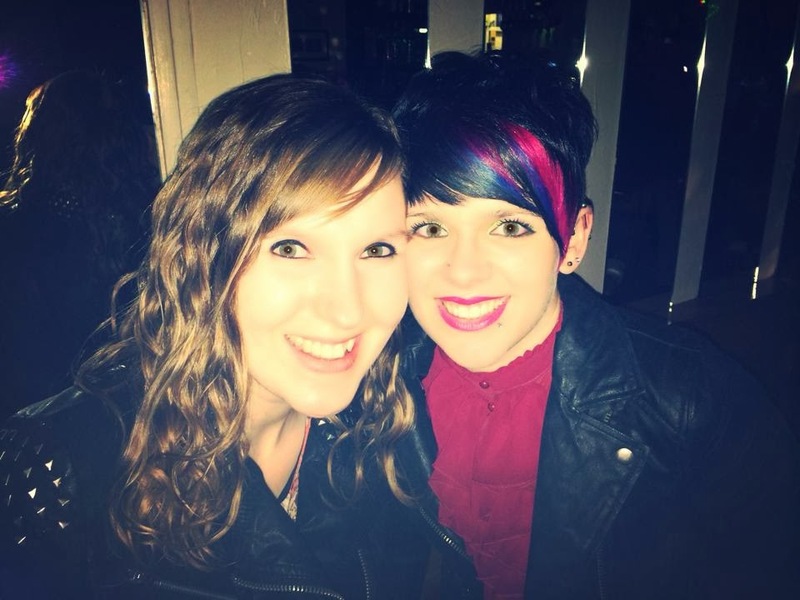 This is me last weekend, with the lovely hairdresser girlfriend I mentioned above. If only I lived near to her so she could cut my hair instead of some randomer! This is getting to be about the longest I ever manage to get my hair before the nagging starts and my Mum convinces me to go to a hairdresser (my Mum is very persuasive, and to be honest, I think I need the nagging or I'd never get my hair cut!). Now, the question I have for you lovely readers, is how short should I get my hair cut? I am planning on getting married next year and everyone else I know in a similar boat stop getting haircuts as soon as they get engaged so that they can have crazy long hair to be styled for the wedding. Should I have a trim? Go as short as I did last time? Or something in the middle? Also, does anyone know of any curly friendly hairdressers in Leeds? Or any good ones at all? It's a scary prospect moving to a new city and not knowing where is good to get highlights and a cut. Let me know in the comments below or on twitter m'dears and I will be very grateful!